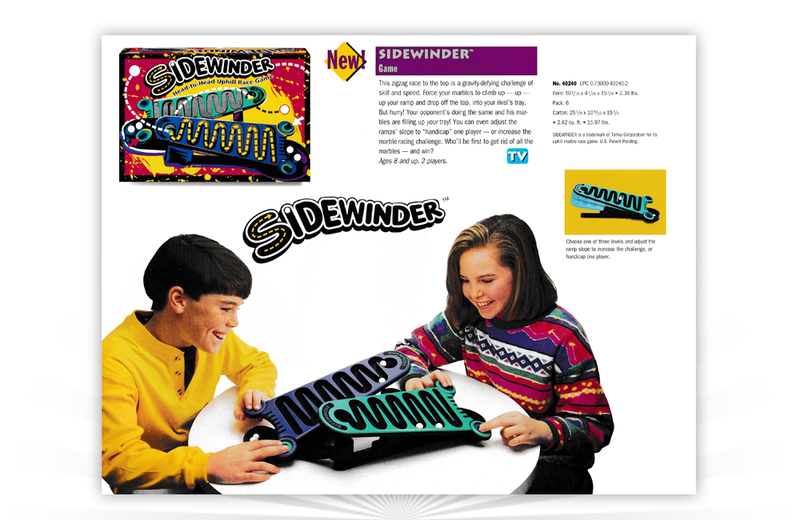 A dealer ad from 1994, showcasing the Sidewinder game from Parker Brothers. The object of the two-player game was to “zigzag” a series of marbles up a ramp and into your opponent’s tray. The first person to get rid of all their marbles won. Players could even adjust the ramps’ slope to increase the challenge or handicap one player.